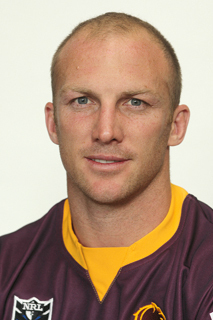 I love the Brisbane Broncos. I have supported them since they formed in 1988, and kept the passion up long after I moved to Sydney in 1996. In my mind they can do no wrong. Except when it comes to their website, and more particularly their members checkout. 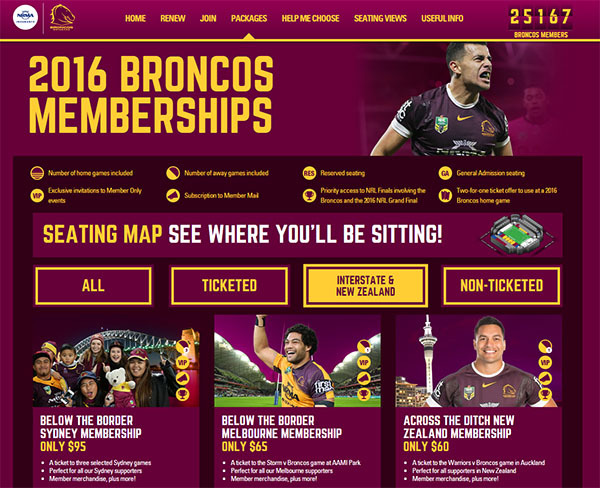 Being the Broncos lover I am, I decided this year would be the year I buy a “Below The Border” membership, to support the club. Basically these are targeted at Sydney residents. You get tickets to the Sydney games, some merch, and a warm fuzzy feeling for supporting your team. With the first game of the season upon us I have tried to sign up for membership twice over the past fortnight. The site hasn’t let me. I’ve now just bought tickets to the first game and ditched the idea of membership. That’s $95 down the drain for the Broncos club. Here’s the issues I’ve run into with their membership checkout. Plenty of lessons here for anyone that runs an eCommerce site. 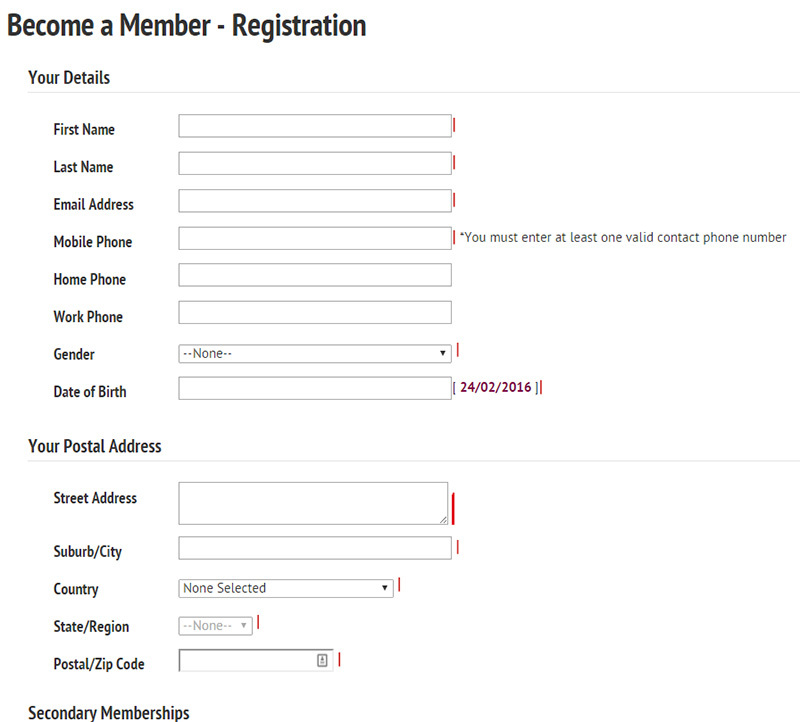 The membership page makes it clear what sort of memberships are available. 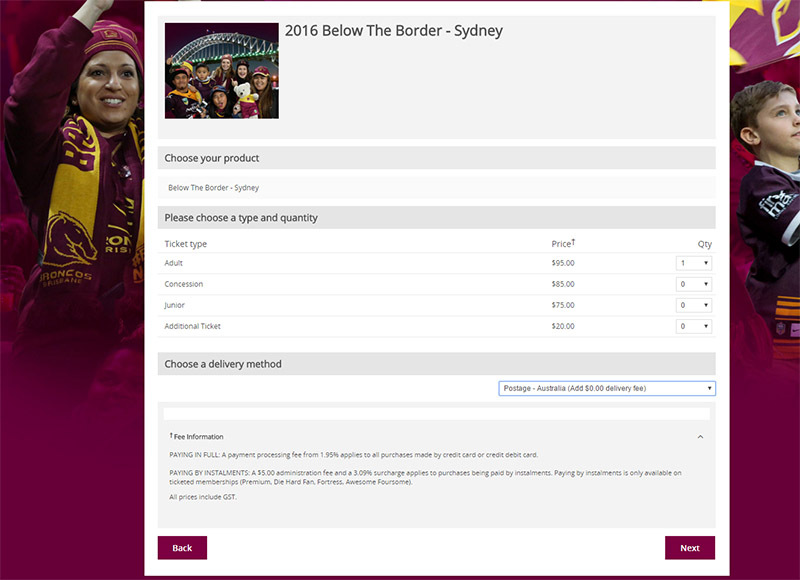 I then selected the “Below The Border Sydney” membership for $95. On the next page you select your ticket type and delivery. You then have to fill out all of your details. However, this is where things start to get annoying. 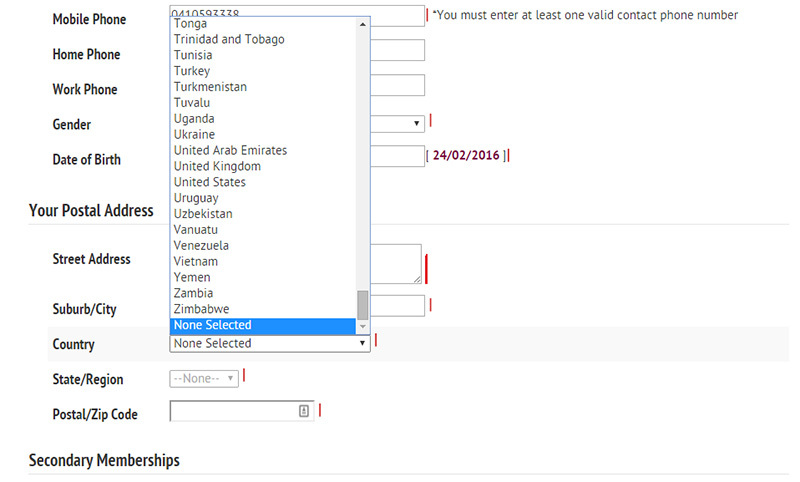 First of all, when you select your country it defaults to “None Selected”. You then have to scroll up through every country on the planet to find Australia & New Zealand. This is just plain poor User Experience and might even impact on conversion rate. When the vast majority of members will come from Australia, the form should default to Australia. New Zealand would be the second market, so have that right after Australia, followed by England. This makes for a much nicer User Experience. You have to type your suburb name, then manually select state, then manually enter the post code. A better process is to simply type postcode first, which then auto populates suburb and state, or alternatively an auto complete address verification tool should be in place. Then you just type your address and the tool narrows it down as you type. Again, a small change that makes a huge difference to the User Experience and removes friction for the customer completing the checkout. So you’re probably saying by now “Those issues are pretty minor. What’s the big deal?”. And yep. We unfortunately settle for stuff like this on most sites we use. But the next little bit illustrates how their site essentially refuses to take my money! This is where the Broncos really have a problem. I clicked the link to retrieve the password. Once again, there were some annoyances with the way this functioned. The previous screen said a user account had already been set-up. b.) if it couldn’t do that, why not have the username auto populated on this screen to make things easy? So it should look like an email or address? Or it should be an actual email address? I have no idea what “name@place.com.clubname” is supposed to be illustrating either, but it’s certainly not helping clear things up. Anyway, I knew I had entered my email address when filling out the form. This was the only identifiable thing I had entered that could trigger an “account already exists” message, so I entered it in. Thanks for entering a username and if it matches then an email will be sent. Why not confirm yes or no on this page that it matches a username in the system, so we’re not left guessing? Asking to contact the membership team if it doesn’t work is also a huge barrier to conversion. People are busy, they get distracted or they don’t have the time to then go and call or email and follow up on things. Whats the easier option? To not make the purchase. Generally, people are used to slick checkout processes these days, and have little patience for archaic systems that make life difficult! So I sat and waited… and waited… and waited. I went through this process a couple of weeks ago. 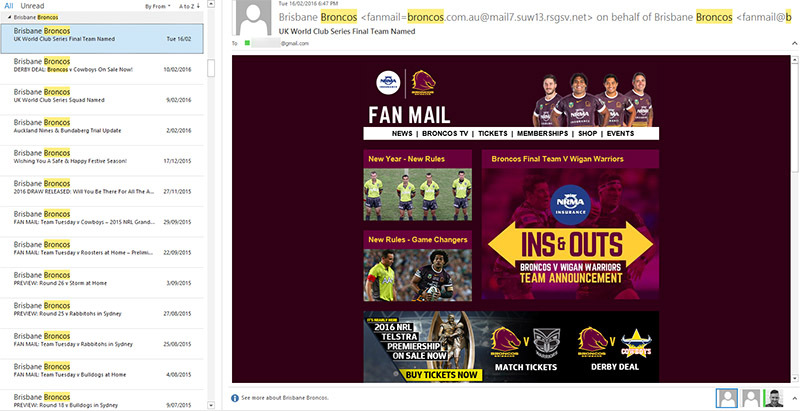 No email from the Broncos with password details either time to any of my email addresses. After two attempts to purchase and the time wasted on it, I’ve given up buying my membership this year. 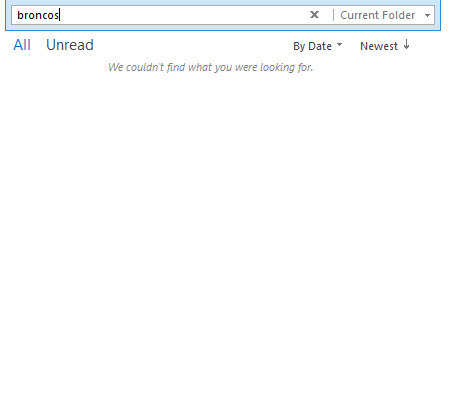 Sure, I could create a new account with a new email address, but that means double the emails. Sure, I could try calling or emailing support and trying to resolve things, but that’s time wasted out of my day and to be honest I’ve been annoyed by how poor this checkout system is, so I don’t want to. In 2016, when retailing online, this sort of stuff is supposed to just work. I am a potential paying customer, in the checkout with my wallet open ready to hand over money. That the system is making it impossible to do so is a disaster in terms of conversion rate and revenue. If you’re selling online it’s essential your checkout is as slick as possible. As I alluded to earlier, if people make it to the checkout they have their wallet out and are ready to give you money. Any friction or barriers you throw up at this point means you’re one step closer to them putting that wallet away prematurely. As such, all ecommerce businesses should spend time working on their checkout. Once you are armed with this data, you have a clear idea of where the friction is with your checkout. You can then go ahead and fix it. Whether that’s just implementing the changes straight up, or A/B testing them incrementally to see which version works best is another thing. 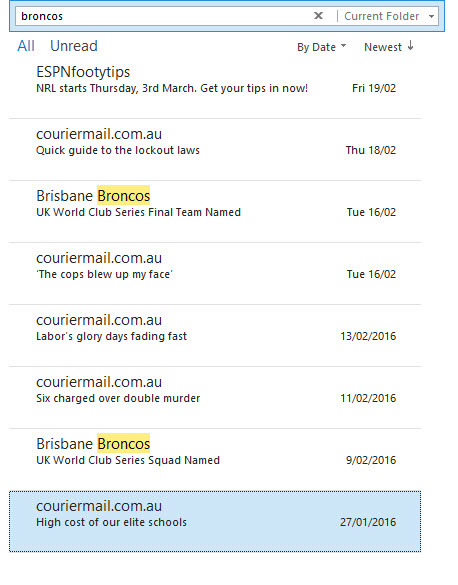 In the case of the Broncos checkout, the major issues should just be fixed. There’s nothing to be gained by A/B testing it, as we know these issues are hurting conversions. I hope you got some value out of this post, and can apply what you’ve learned to your own checkout. If you’d like to discuss a conversion rate optimisation strategy for your own ecommerce business, please get in touch. written by Michael CostinThis post by Michael Costin, Co-Founder & Director at Local Digital. A digital marketing consultant with a background in SEO and CRO. 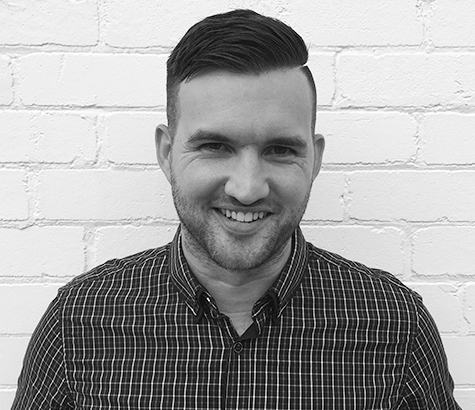 Over the last 5 years he’s worked both agency and client-side, with the last 3 years on enterprise SEO campaigns.